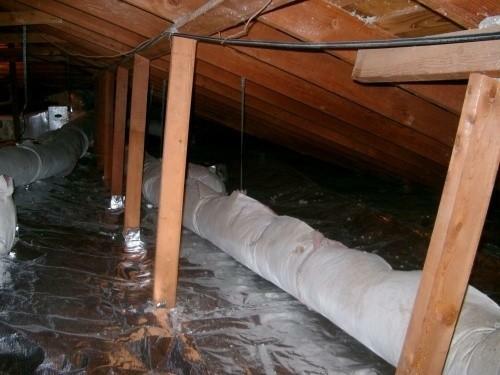 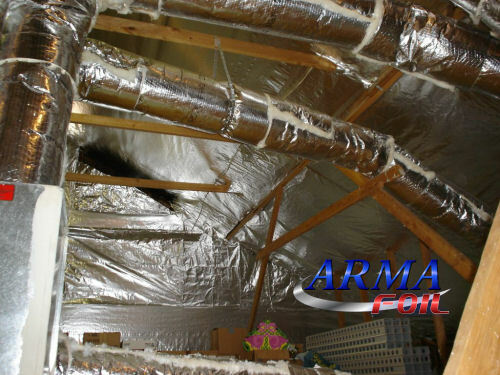 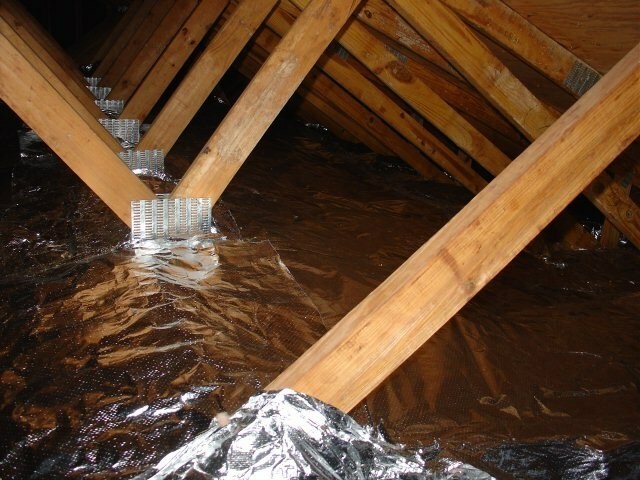 The picutures below show various attic radiant barrier installions. 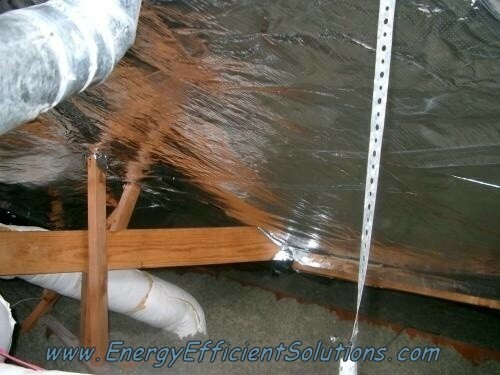 Scroll down or click the following links to jump directly to the different types of installations. 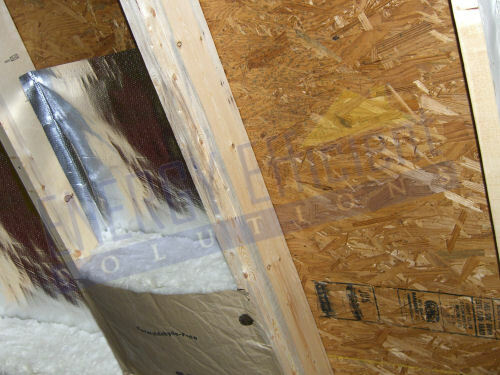 Pictures of radiant barrier stapled to roof joists. 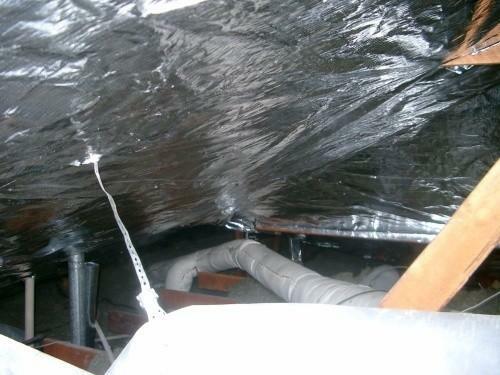 Pictures of radiant barrier stapled between roof joists. 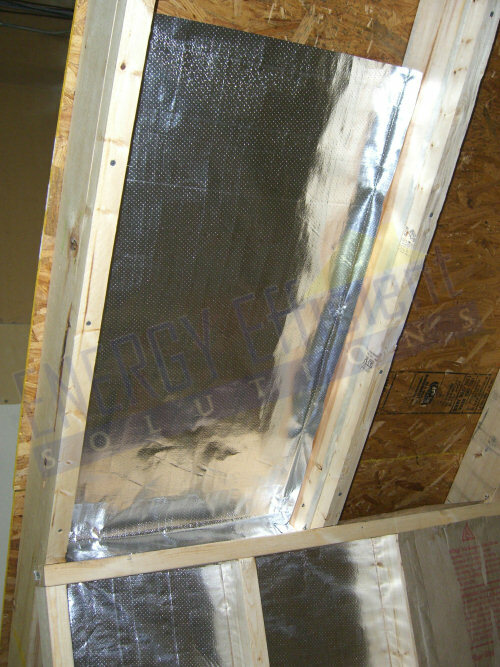 Pictures of radiant barrier behind knee wall and roof decking. 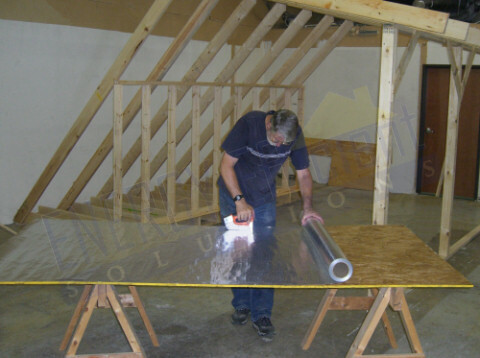 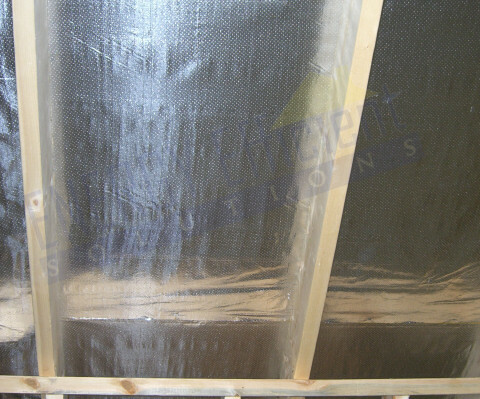 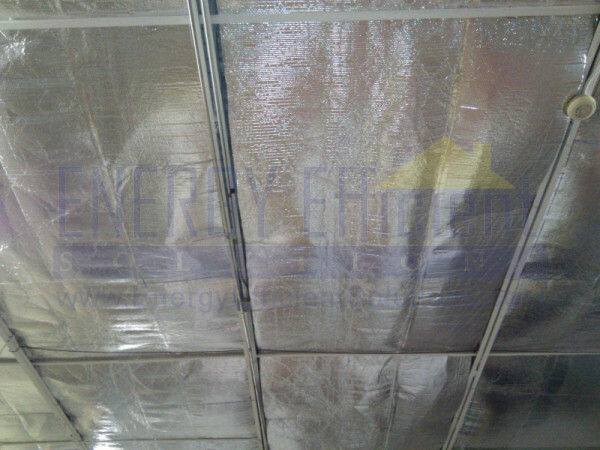 Pictures of radiant barrier installed in commerical applications. 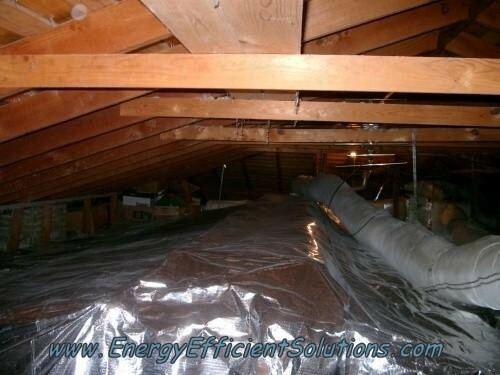 Pictures of radiant barrier laid on top of attic insulation. 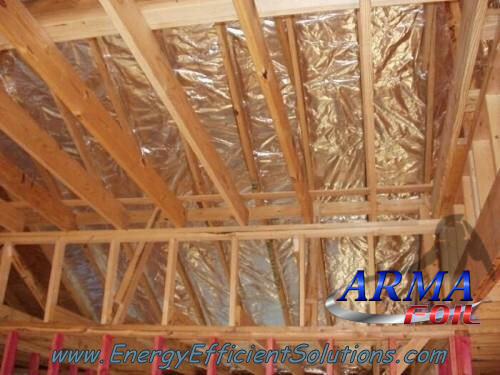 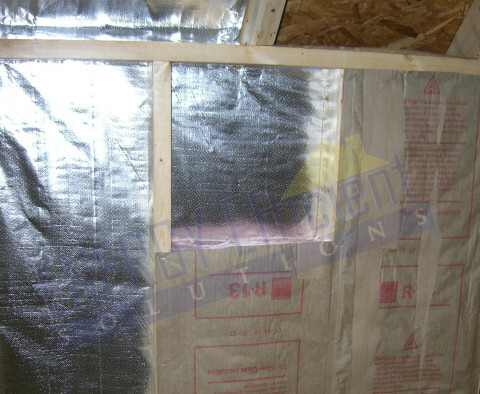 NOTE: When installing radiant barrier on the attic floor, care must be taken to fully air seal the attic floor prior to installation. 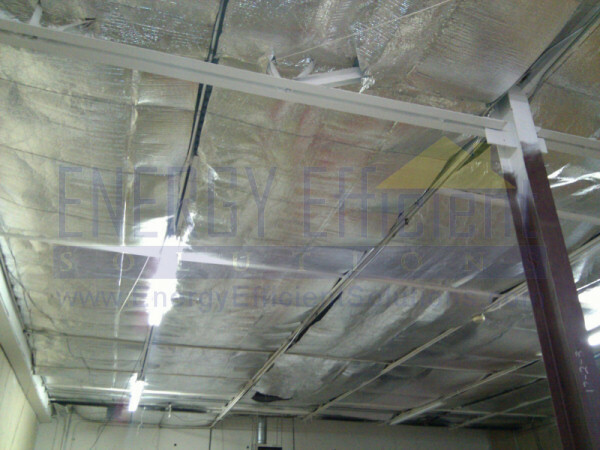 Unless otherwise specified here, all pictures on this site are the property of Energy Efficient Solutions. 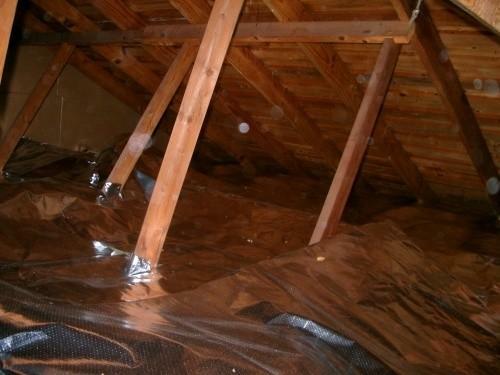 If you are interesting in using them for any reason please request permission first.